It's the best of times and the worst of times in the tracker business. Or, at least, it’s not the most ideal of times. 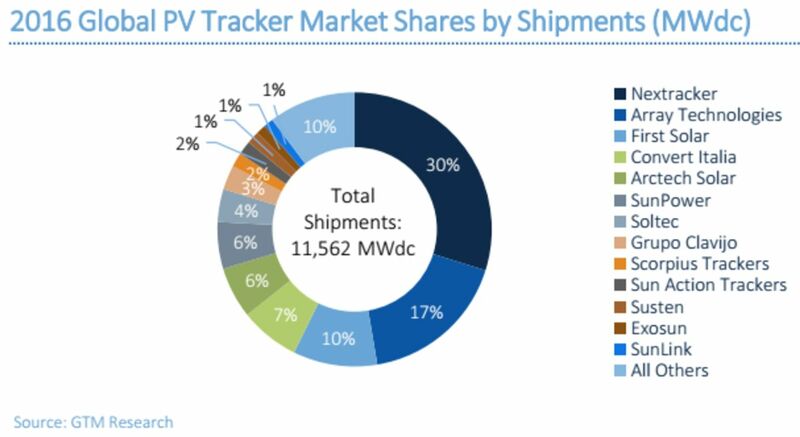 The global PV tracker industry is in the midst of a boom. 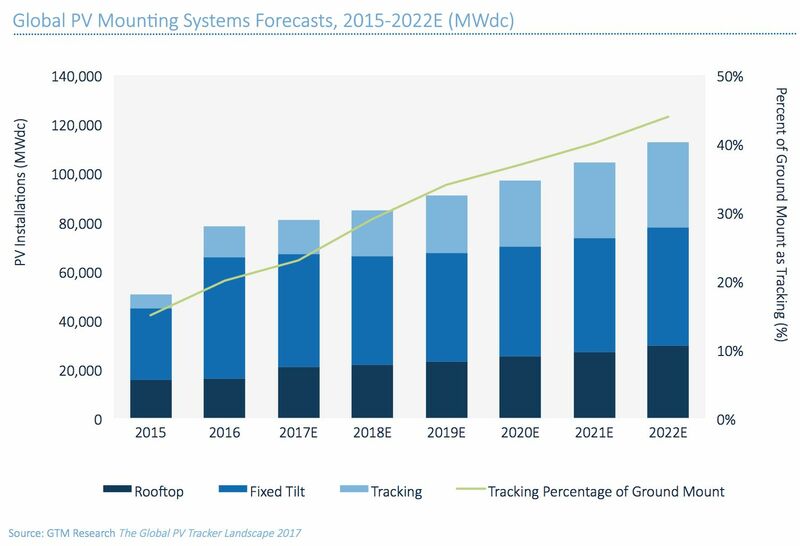 Tracker installations surged 132 percent from 2015 to 2016, and are forecast to grow 20 percent each year on average through 2022, according to the new Global PV Tracker Landscape 2017 report from GTM Research. Despite this positive trend, industry experts expect there to be a fair amount of turmoil -- and Exosun is the latest example of it. The French company confirmed to GTM this week that Exosun SAS has entered “receivership” in France and is undergoing a financial restructuring. President and Chairman Frédéric Conchy said the move was a choice, designed to help reposition the company for growth. Receivership allows the company to freeze its debt and continue to do business as usual while searching for new financial partners, said Conchy. But while French business laws are not the same as those in the U.S., Exosun’s entry into “redressement judiciaire” does translate to a kind of bankruptcy proceeding. Under this process, debt payments are suspended for several months while the business restructures, and the business is cleared once it has repaid its liabilities, with either the same or a new set of shareholders. Failing that, liquidation begins. While it seems unlikely that a company would choose to go through a judicial process in order to find new investors, Conchy insisted the tool offers a safe way to raise capital while the company continues to grow. Exosun, which moved its offices from San Francisco to Phoenix last year, has deployed 130 megawatts of tracking installations in the U.S. since launching here in 2012. 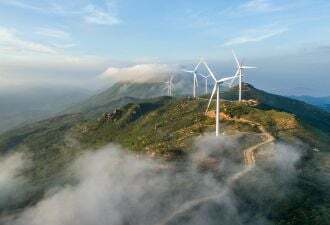 The company also has offices in Brazil and South Africa, in addition to its native France, and is currently working on 15 projects around the world. Conchy said the company is hoping to find an industrial investor with a large balance sheet to help finance installations already in the pipeline, and to help take on big new projects all around the world. Ultimately, the company needs more financing “to compete with the big guys,” he said. "Compete" is the key word. The number of tracker companies has exploded in recent years as the utility-scale solar market has embraced the technology. Leading fixed-tilt suppliers either quickly bought a tracking business or built their own. At the same time, recent module pricing declines have affected tracker economics, making margins razor-thin. Exosun is not the only company battling with these factors, and it may not be the only tracker company to restructure as a result. Sun Action Trackers, a Texas-based venture jointly owned by OCI and Paru out of Korea, is rumored to have recently let go of a portion of its staff; however, the company could not be reached to confirm. In general, shifts within the tracker landscape are no surprise, said Scott Moskowitz, solar analyst at GTM Research and author of the Global PV Tracker report. “Overall, pricing has become so competitive and the market has become so crowded that consolidation and exits are inevitable,” he said. “Tracker installations have grown significantly over the past couple of years, and that’s expected to continue. But the reality is that there are so many tracker companies out there right now that the competition has become very cutthroat,” he said. Furthermore, “prices have fallen tremendously and they’ve standardized, so no one is getting a premium and margins are tight." Significant variation in regional demand is another challenge companies are coping with. In the Chilean market, for example, shipments spiked to 1 gigawatt in 2015 and then dropped to just a couple hundred megawatts a year later. The Brazil market has been slower to develop than anticipated, while the U.S. market is leveling off and could be facing dramatic declines if the Suniva/SolarWorld trade petition goes through, said Moskowitz. "Unless you’re a fully global company or in one steady growth market, you’re struggling right now,” he said. “There’s a pretty picture of global tracker market growth, but there's also a lot of market difficulty out there." From Moskowitz’s perspective, it’s difficult to see a path for companies without significant market share to quickly become market leaders, especially now that the leading players are operating globally. According to the latest GTM Global PV Tracker report, NEXTracker led the field last year with 30 percent of the market, followed by Array Technologies with 17 percent of the market. First Solar came in third with 10 percent of the market. Exosun clung to 1 percent market share in 2016, but fell off of the top 10 list -- having ranked 8th in 2015 in terms of megawatts shipped. “All tracking solution providers are operating in an increasingly competitive market with significant downward price pressure today,” said Ron Corio, founder and CEO of Array Technologies. “Ultimately, the companies that will be successful are those with economies of scale, long-term vision and robust products that deliver the highest value to solar projects." Both Corio and Conchy said technology innovation and strong customer relationships are pivotal for succeeding in a competitive market with extremely thin margins. Some examples of technology developments include Array’s mechanical stop, which allows its tracking system to continue to operate during high wind events. In a similar vein, GameChange Solar and SunLink have used their monitoring capabilities to enable stowing panels at non-zero angles, which theoretically minimizes performance losses during wind events. Solar FlexRack and Exosun have both introduced systems that enable blocks of rows to track independently to offset land irregularities. Exosun and SunPower now offer robotic cleaning systems to improve solar-panel performance. And many tracker companies are working on enhanced software solutions to improve system power output. For the time being, Exosun continues to move forward under receivership, but it expects to have a new financial partner lined up before the end of the year. 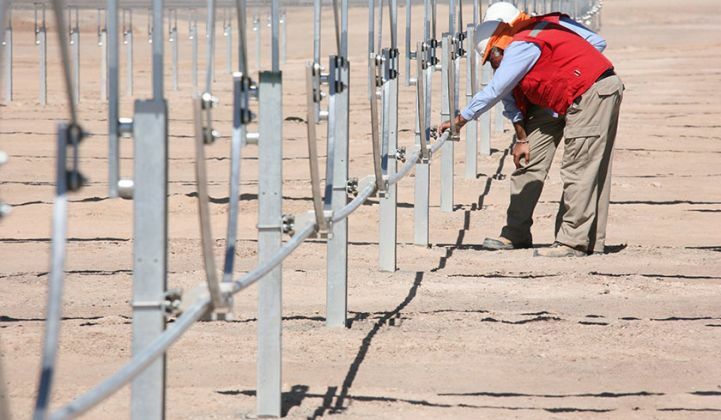 Learn more about GTM Research's latest report on PV trackers here.